Frimousse is a line of high quality products entirely adapted to children’s needs. We decided to create this children’s series to satisfy requests from parents who were looking for high-quality children’s body and hair products, comparable to our Térapo Médik series. We are certain that these innovative high-end products will put a smile on your kids’ faces. 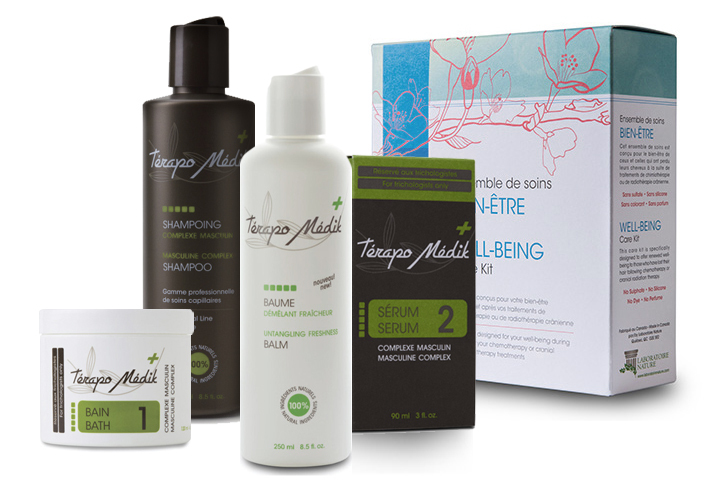 These products are specially formulated for children’s hair and skin type. * Exclusivity by H. Chalut Ltée. An entirely natural children’s product designed to moisturize and soften very young children’s hair. Natural ingredients keep the scalp and the hair well moisturized. It prevents tangled and frizzy hair even when the shampoo is done just before bedtime. Available in 250 mL and 1 L sizes. It makes hard to style hair manageable. It contains vitamins and plant extracts that ensure an optimal moisturizing environment for the hair and the scalp. Children are very fond of the bubble gum fragrance. Soothes and moisturizes babies’ delicate skin. The naturally non-greasy formula, rich in softeners, is rapidly absorbed and it provides the skin with a 24-hour moisturizing effect. It suits newborns’ needs perfectly and it can be used on a daily basis to keep the baby’s skin soft, smooth and healthy. It protects and repairs cracked or dried skin, without irritating. Available in 125 mL size. This is a product designed to moisturize toddlers’ skin and hair. The moisturizers in its composition help protect the softness of the epidermis and the hair. Children love the grape fragrance.